September 22, 2018. 25% discount and the after party is included! Duration: Approx 1 hour, 15 minutes with no intermission. What’s interesting about this concert: Gillian is a soloist! • A petite program of familiar French masterworks and the perfect introduction to the CSO. • Music that tells stories to get lost in, from Dukas’ Apprentice to Ravel’s mythical lovers Daphnis and Chloé. • All ticket holders are welcome to attend Après, the FREE after-party in the Ballroom. Let’s celebrate the start of the season! Harvardians and our Ivy League friends will meet up at the organ in the Ballroom. Interested in a full course of French flavor? Learn more about the Gala d’Ouverture, the gala dinner preceding the performance. Note: If you buy tickets through the CSO website without using the link above, your unique promo code for the Harvard Club is HARVARD CLUB and this is good for 25% off tickets to CSO Opening Night on September 22 at 8 pm. The after party is included with any ticket purchase. Meet up with Gillian by the organ in the ballroom. Those of you who already had tickets not through our site, please come join our Harvard and Ivy League group by the organ. 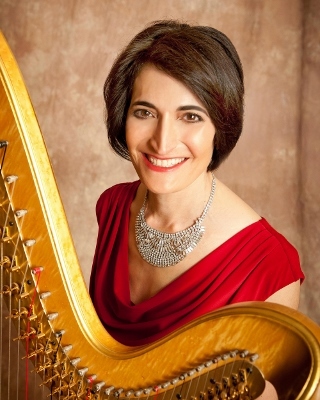 has been the Principal Harpist of the Cincinnati Symphony Orchestra since 1995; formerly, she was Principal Harpist of the Israel Philharmonic and the Kennedy Center Opera Orchestra. She has performed as soloist with the Cincinnati Symphony, Israel Philharmonic, Radio Prague Symphony, Cincinnati Chamber, Quebec Symphony and the Kennedy Center Opera House Orchestras among others. In 1997 she premiered the Liebermann Concerto for Harp and Flute with flutist James Galway and the CSO. She made her Carnegie Hall solo recital debut in Weill Recital Hall (presented by Artist’s International) and gave a harp and flute recital for the Mostly Mozart Festival in Avery Fisher Hall. She has performed solos at the World Harp Congress in Vienna, Paris and Prague and was a concerto soloist at the American Harp Society National Conferences in Cincinnati and San Francisco. Gillian graduated from Harvard University where she studied French Civilization. She has Masters and Doctoral degrees from The Juilliard School, a Concert Artist’s Diploma from the Royal Conservatory of Toronto and the Diplôme de Concertiste from the Ecole Normale de Paris. 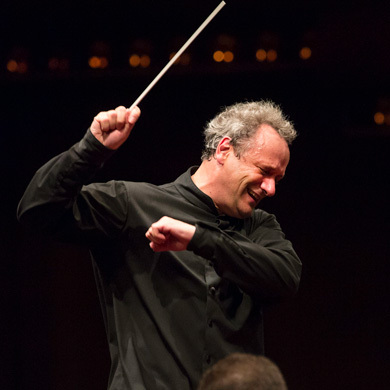 has been the principal oboist of the Cincinnati Symphony Orchestra since his appointment in 2007. Previously, he held the same position with the San Diego Symphony and was a Fellow with the New World Symphony. Originally from coastal Southern California, he found his passion for music studying piano, voice, and jazz saxophone. It was not until late in high school, however, that he began playing the oboe, taking lessons from Joel Timm, and truly found his calling. Mr. Parry performs and teaches internationally in concertos, recitals, masterclasses, and chamber music. Past appearances have featured the works of Mozart, Goossens, Haydn, Bach, Strauss, Vivaldi, Albinoni, Barber, Francaix and Marcello. He received his Master's Degree from the Cleveland Institute of Music with John Mack and his Bachelor's Degree from the University of Southern California with Allan Vogel and David Weiss, a gentleman who also taught him to surf!